Which type of hammer do I need? Landing a solid blow feels good, but it takes the right hammer. It’s one of mankind’s oldest tools but we now benefit from modern advancements. From the mallet to the sledgehammer, discover the art of the blow and the hammer. The hammer is part of a family of percussion tools. The length of the handle varies according to the user’s strength and the amount of force needed. The head comprises the striking mass of the hammer and contains a flat or slightly rounded striking surface. The part of the head opposite the striking surface varies with each hammer and may include a spike for punching holes, a claw for removing nails or tacks, a sharpened edge like a hatchet, or a ball shape used in metalworking. 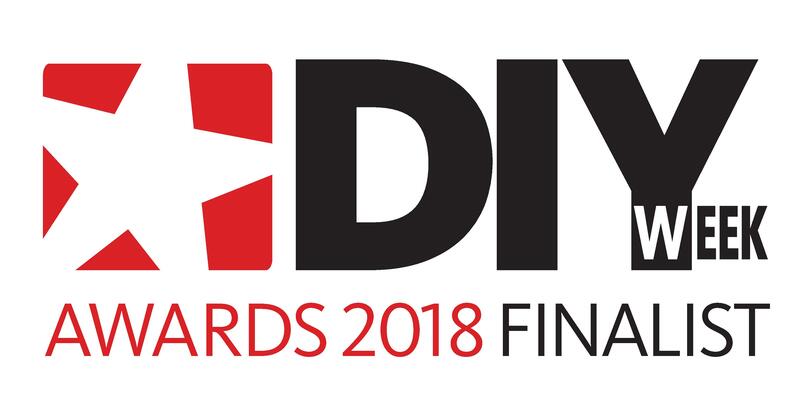 A versatile tool, they are just as useful for demolishing walls as they are for building them. Attempting to break a wall with an upholstery hammer or install a window with a sledgehammer would prove equally difficult. Follow this guide to select the right hammer for the job. Before you can find the one hammer that will help you build barn, farm, and fence, here are some that will allow you to do great things. 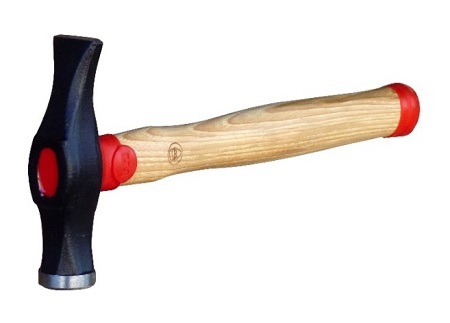 Carpenter’s hammer: The most common and most popular. Whether it is used to sink a nail or just to accompany you on a construction site, everyone knows it. 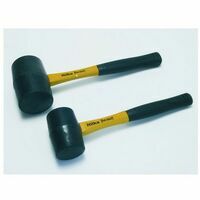 With a steel head and moderate handle length, these hammers can sink nails of any size and are equally suited to cabinetry, carpentry, and construction. Clawhammer: On the heads of these hammers, opposite the striking surface, is a slotted flat or claw that is used for removing nails. It is also called an American hammer. Electrician’s hammer: It has an elongated head with a similar shape to a Carpenter’s hammer. Its smaller size makes it easier to manoeuvre in the tight spaces common in electrical work. 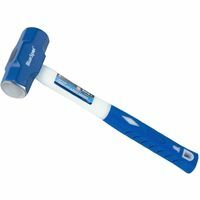 Glazier hammer: Useful for working with glass. The flat impact surface can be placed along fragile glass surfaces while sinking a nail. These hammers usually include a claw opposite the impact surface for removing nails. 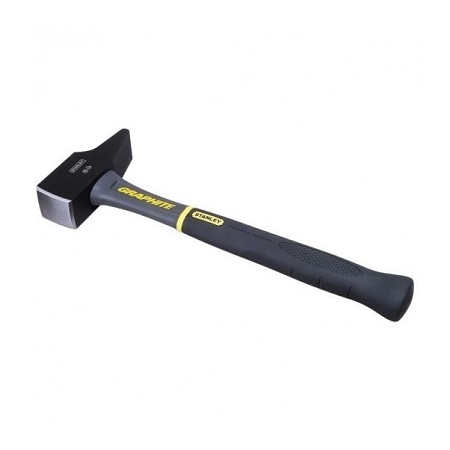 Roofing hammer: Essential for laying shingles and other roofing materials. The head of these hammers is offset to help to hold and tape shingles and roofing tiles into place. 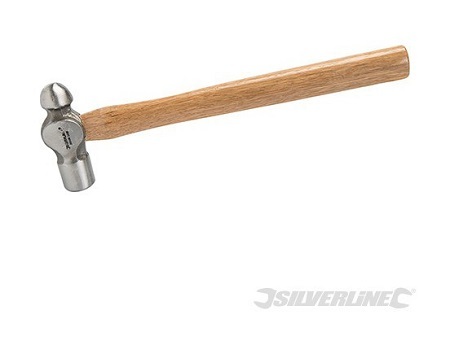 Riveting hammer: It has a thick head and a rounded impact surface that leaves no mark if used properly. The end opposite the impact surface is triangular with a rounded end. 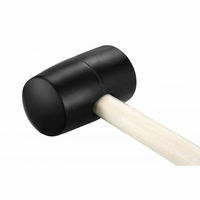 The mallet has a symmetrical head of soft material (wood, plastic, rubber). 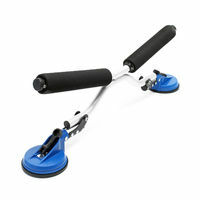 It is useful for hitting harder materials without risking damage, it is the best friend of the tiler. Sculptors mallets are shaped similar to a handbell. They are usually made of a soft material, such as wood, and the rounded sides of the mallet ensure that your strikes are always precise and well centred. It is useful to know that these mallets sometimes have interchangeable heads. Used to demolish or sculpt, the sledgehammer is the heaviest hammer that can be used with one hand. Their weight varies between 500 g and 1500 g.
A curved stirrup makes your shot precise thanks to its parallel surface equaling to the angle of impact surface. They are often used with a chisel. A hammer is chosen for their comfort as well as their overall function. The material of the handle and any accompanying covering or sleeve help to alleviate the shock of prolonged use. Hammers with poor shock absorption lead to quick fatigue and can cause serious musculoskeletal issues. Wood is still the most common material as it absorbs a great deal of shock and is comfortable in the hand. Synthetic handles can also be found which also do an adequate job of absorbing shock. The nature of the material is relative to the hammer. Hammers that withstand a great deal of stress and shock, such as sledgehammers, mallets and carpenter’s hammers, require a sturdy handle material. 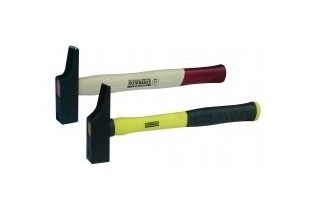 Hammers that are designed for less intensive work, such as an upholstery hammer, do not need to be as robust. Bi-material: Combines flexibility and strength and are robust while offering a good amount of comfort. Tri-material: These are uncommon but have very high quality. They combine robustness, comfort, and safety with their unbreakable head. They are commonly made of fibreglass, polypropylene, and elastomer. Plastic: Stronger than wooden handles but not usually as comfortable as they don’t absorb shock as well as other materials. Wood: Hardwoods, usually hickory or ash, absorb vibrations well. They are comfortable but require some attention to extend their lifetime. Regular cleaning and oiling, especially where the handle secures the head of the hammer will help to avoid unnecessary splitting, slippage, or wear. 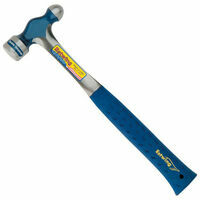 Some hammer heads offer additional benefits to help eliminate noise, sparks, magnetism, or excessive bouncing. Depending on the use of your hammer it can be demanding of the head. Choosing the right hammer is about anticipating your needs and averting potential hazards. Using a hammer that is too heavy or has too long of a handle will begin to wear on your arm and shoulders. Using the wrong hammer while working with glass or fragile tiles could result in an injury, as well. Use the tips above to help select the proper tool for the job and don't gamble with your health and safety. As for maintenance, hammers do not require much. Keep it clean and oil the head to avoid rust. If your handle material requires maintenance, be sure to do that regularly. If your handle gets worn or breaks, the hammer’s head will quite literally ‘fly off the handle’. I realize many of my works, fed by my taste and my passion for DIY, might be called “made up. My projects are born from reflections (more-or-less logical to others but they always make sense to me.) This process has culminated in the realization of a mobile greenhouse so I can walk my plants, an effervescent aspirin, a dispenser built from canned foods. I consider DIY to be a way of moving at your own pace. We live in a world where the uncomfortable idea remains that our failings often teach us more than the projects themselves would. My wisdom is useful to me, whether it’s re-machine screws, reel a reel from camera springs, or using a torch. I am delighted to use my experience and finally be able to share it.